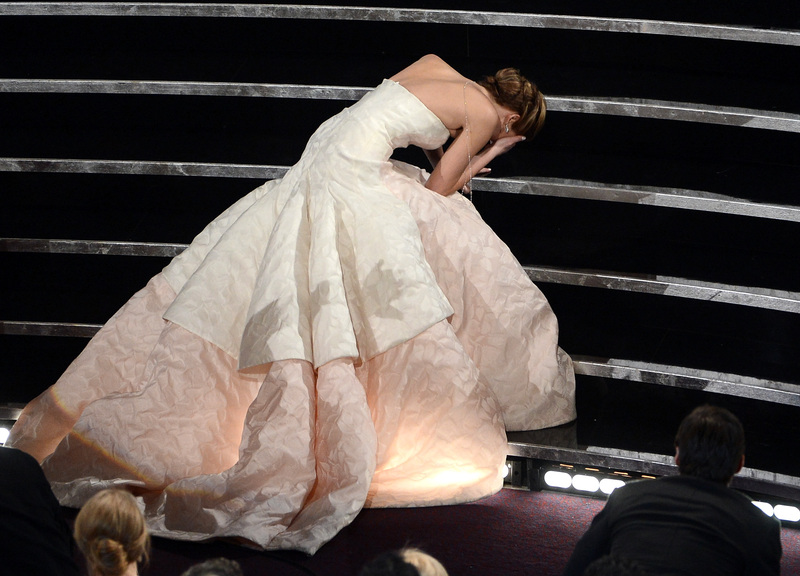 Finally the internet has given the people what they want: an awards show dedicated to GIFs. Whether you pronounce GIF as "jiff" or "giff," you must admit that some GIFs are funny, some are poignant, and some are just bizarre. It's almost as if GIFs are tiny distillations of the glory of the Internet: they often have cats, they can be NSFW, and occasionally they're surprisingly sincere. The GIFYS expertly combine the ridiculousness of awards shows with the silliness of GIFs, to honor "the animated GIF as a medium, social commentary and art form." That seems like a tall order for 5-second moving pictures. Like all awards shows, the GIFYS' categories walk the line between strange and too familiar: there are categories for both cats and animals, yet news and politics are grouped together, and include a GIF from sports center. All of "Film" and "TV" are grouped into "Film + TV," and they entirely forgot a music section, which seems like a mistake in the year of Miley-twerking and Beyonce visual albums. In another move that nods at the ridiculousness of Hollywood awards, the GIFYS have a panel of judges "from the industry," even though the winners are voted on by the people. Unlike most Hollywood awards, these judges are actually involved in the GIF industry, hailing from listicle factories like Mashable and Buzzfeed. Also unlike Hollywood awards, some of the nominees might surprise you, and nobody has to listen to hours of red carpet interviews. So, let's meet a few of the colorful GIF candidates. ...and Ryan Gosling hating cereal. But there are also a few that might surprise you, especially from the "wtf" category. For instance, there's this painful-looking GIF of a man getting hit in the face with a fish (called "fish slap" on Tumblr). But, in the category of "GIF of the Year" there seems to be one stand-out performance, and it's from Oprah. Finally, her acting gets some credit. And some bees.